DTEC began promoting D-Fence in the fall of 2018 and we have worked to get the word out to the industry that a reliable, affordable, and effective alternative is available for traditional silt fence. But some of you are wondering if D-Fence is really just a rebranded silt fence. So in the interest of clarity we will address that here. Yes, D-Fence is what a regulator would recognize as silt fence and is essentially a perimeter sediment control Best Management Practice like silt fence. 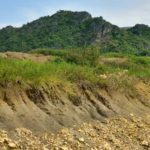 It meets and exceeds all the silt fence specs we’ve seen, so yes, D-Fence could be dismissed as an upgraded silt fence by the skeptics among us. And no, it is not silt fence. Its performance and value is so superior to silt fence that it deserves to be in a class by itself. We believe D-Fence is as different from silt fence as Frontier is from Southwest Airlines (can I say that in a blog?). As different as a used retread is from a reliable new tire. Our opinion is that silt fence has devolved over time into a window dressing meant to allow a project to break ground, but it is never anticipated to last for the life of a project, and really, most people don’t expect silt fence to actually control sediment. What caused this broad acceptance of poor outcomes? 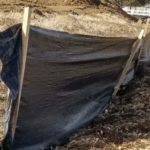 Why are most silt fence installations failed installations? If we are right about silt fence being just for show, and if most buyers don’t really expect much from their silt fence, it raises the question of how we got here. How did this get to be normal? Well, first an observation. DTEC has been installing BMPs since 1995 and for our entire history we’ve had a focus on quality installations that last. And we’ve been proud to serve clients that get it. Clients that care enough about their project and the environment that a quality installation was expected and demanded. And yet, it often feels like we are swimming upstream against an industry that settles for the bare minimum. Time and again we run into projects where low initial cost is the only consideration in choosing a vendor. Despite that fact that many providers are installing unacceptable work, the industry keeps insisting on the low bidder approach…and then paying an added price in repairs, maintenance and ongoing headaches. DTEC has developed D-Fence as a way to recognize that we can do better as an industry. 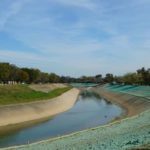 When you pay for erosion and sediment control for your project, you have every right to expect that your money will produce results. You have every right to expect the job will be done right the first time. The BMPs you choose for your site should be of the same quality and durability you expect from the rest of your vendors. The amazing part is that by paying a few pennies per foot more for a quality installation of D-Fence you will save many dollars in reduced repairs and maintenance as well as many hours of superintendent time saved to allow you to focus on building your dream project. We would be happy to learn about your project and see how much money you can save by choosing quality. If you want to run the calculation for yourself, using your own internal numbers, check out our cost comparison calculator here. The bottom line is the real measure for most of us, isn’t it? We want to know the full story, we want to know how it turns out. And what is the impact to our bottom line? D-Fence is NOT designed to save you a few bucks on the installation cost of your stormwater compliance plan. But if you are looking to save money on BMPS and improve your bottom line by installing D-Fence rather than skimping on silt fence, you will find the total cost of your BMPs going down. The money you save on repairs, maintenance, and supervisory headaches is what makes D-Fence the hands down winner compared to silt fence. Try it for yourself. See the difference and pocket the savings.